Ouch! Lip Smack Strikes Again. 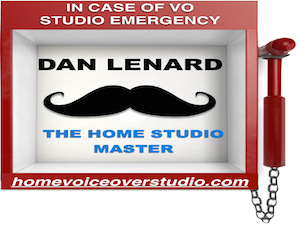 In olden days - say, five years ago - home recording studios were not common among voice over talent. Today, though, having your own recording studio has become a necessity to compete in this industry. Recording yourself requires one skill set. Editing the recording requires another one. Before recording, you can do things to reduce mouth noise, like brushing your teeth and using lip gloss or chap stick to moisten the lips. And drinking lots of water every day will help you remain fully hydrated. However, even the most thorough preparation may not eliminate a mouth click - or lip smack - during your performance. I am meticulous about editing out undesirable sounds to provide a pristine recording to my clients. This :41 video shows you one way to isolate and eliminate a click from your recording. In the video, I am using Pro Tools LE in shuffle mode, but this technique should work with any audio editing program. When quoting a price for a job, you always have to factor in the time required to edit the audio. In fact, the general rule of thumb that I use is to expect two hours of audio editing for every one hour of finished recording. For a recording riddled with clicks, it may be advantageous to re-record the take instead of editing it. 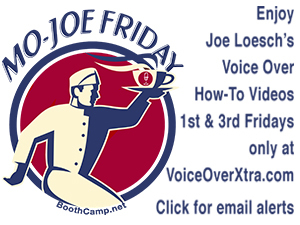 Karen Commins is a voice actor based in Atlanta specializing in narrations, e-learning modules and audiobooks. With over two decades of experience as an information technology professional, she is a subject matter expert in performing technical scripts about computer-related topics. 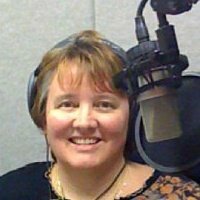 She records in a soundproof studio and writes A VOICE Above The Crowd, an insightful and entertaining blog about working and marketing oneself in the voice over profession. She also invites you to subscribe to her newsletter, Success Leaves Tracks, in which she profiles a prominent person and offers help to others on their path to success. Thanks so very much for this blog. How wonderful of you to gift all of us novices out here with the benefit of all your experience. I hope you continue to be blessed with success!! All, thanks for your kind comments. I taught myself this editing trick years ago when I still used an early version of Cool Edit Pro. @Greg and @Heather -- I'll have to try the pencil technique in Pro Tools. Maybe I'll make another little video with it! Good tip. Nice video, too! I actually usually use the pencil tool to smooth out those clicks, because otherwise too often I hear a little "thump" where I deleted even one waveform. And I have a rule that if I can't immediately find the click (sometimes it's kind of hard to track down), I let it sit and move on. Otherwise I spend too much time -- and it gets kind of addictive doing that search-and-destroy editing! Thank you for this article Karen. Another way to remove those "clicks" (in Pro Tools) is by expanding the area of the click and then using the pencil tool to smooth out that click. That's the only way with last generation software. If that's what you're using, that's what ya gotta do. Some newer technologies on the market, included in Adobe Audition CS5, make it more seamless and in some cases, automatic and time saving. Mouth clicks are an inevitability with almost all of us. I've found that relaxing and not over emphasizing certain words cuts clicks and smacks considerably. Other remedies are as numerous as Gum choices at the grocery checkout. 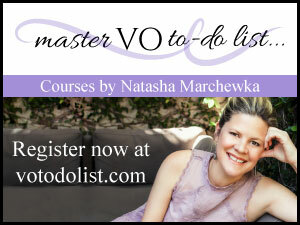 Voiceovers get paid for their lip service (you know I never waste an opportunity for a bad pun). 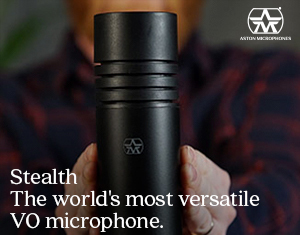 I commend you for your commitment to delivering pristine audio. It's a true sign of professionalism! Over the years, I have found that reducing the consumption of dairy products before a recording session, drastically reduces my 'clickability'. I moisturize my mouth and lips often, and there's one other click trick that helps me prevent mouth noises. Most people don't realize that they automatically close their lips at the end of every sentence. It's second nature. Whenever our lips open or close, there's a potential lip smack or click in the making. That's why I'm in the habit of keeping my lips apart at the end of my lines, and it has reduced the number of unwanted oral noises dramatically. Nobody wants to listen to a click track ... unless your sound recording need to be in synch to a moving image. I want to clarify that my 2:1 ratio of hours spent editing to recording encompasses all editing tasks. In addition to listening to the recording in real-time, I adjust pacing, reduce or eliminate breaths, and create files needed by the client. If I happen to come across a mouth click, I remove it as demonstrated in the video. Karen...geez, I'm afraid to even say this, but I think you're giving bad advice. If you need TWO HOURS to edit "mouth clicks" out of every ONE HOUR of recording, you should think about a new profession. That is just unacceptable. Thank you so much for this great video! Lip smacks and mouth noise have to be some of the most frustrating things to edit out of audio! I really appreciate your great tips.